Hire Software Expert is a one stop solution for dedicated Ruby developers , programmers, coders across the globe. At Hire Software Expert we focus in developing robust ruby web applications across various industry verticals. Get in touch and be a part of our long clientele and hire Ruby developer from a pool of our young and dynamic experts. Ruby enables speed of writing the code 30-40% larger than other languages. Everything is object in Ruby. Syntax written in Ruby are clean and elegant. Provide dedicated developers or a team for hiring. 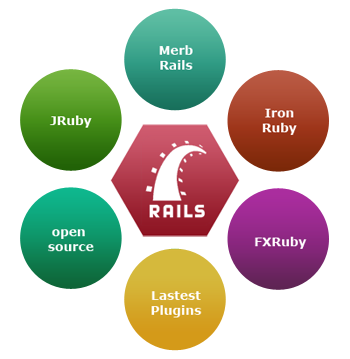 Hire Software Experts offer porting and migration to and from Ruby. Hire Software Expert delivers expertise in support and maintenance of software.